I spent over twenty years in the inner circle of the Airbus commercial team, working closely with airlines of all shapes and sizes, and in every corner of the world. My major strength is in aircraft evaluation and fleet planning and I can draw on a lifetime’s experience of identifying and satisfying airline fleet needs. I established and managed AirBusiness Academy in France and led IATA’s global training operation from Montreal. I have held the position of visiting professor at both Cranfield University and City, University of London. I regularly teach on aviation post-graduate programmes at the University of Surrey, Emirates Aviation University and City, University of London. 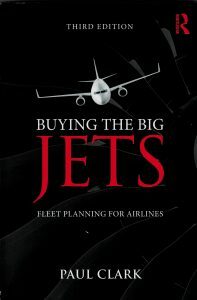 I am the author of the standard text book on airline fleet planning, Buying The Big Jets, now in its third edition. The book has been translated into simplified Chinese, complex Chinese and Japanese. I have run over 100 educational seminars for airline managers and am the creator of the SkyChess airline business simulation game as well as the popular hands-on fleet planning course, Buying The Big Jets – Live! which is based on my book.